Welcome to Dorit's Accounting Services, a full-service accounting firm and tax agency located in Encino, CA and the surrounding areas. I offer a full range of services for small businesses that need financial assistance. The accounting services I provide to help my clients include payroll consultation, income tax consultation, bookkeeping,tax resolutions, and income tax consulting. Additionally, I am a QuickBooks trainer, providing a service in which I meet privately one-on-one with my client to help them understand and manage their financial statements. My mission is to help my clients implement practical solutions and strategies so they can successfully run their business. With over 20 years of experience in the accounting industry, I am committed to assisting individuals and businesses with their financial needs. Fiscal laws are complicated and constantly changing. As your financial consultant , I have the skills and experience necessary to help my clients understand how to analyze business statements and meet their financial goals. I am a certified enrolled agent with a diverse background in accounting, bookkeeping, and taxes. I am also a member of the American Institute of Professional Bookkeepers. You will receive my undivided attention, expertise, and a free consultation when you choose me as your accountant. If you are interested in my small business accounting services or if you would like to learn more about what I can do for you, go ahead and contact me at Dorit's Accounting Services today for more information. Dorit's Accounting Services is rated 5.0 out of 5 stars, based on 7 reviews! I'm giving Dorit 5 stars, first let me start with she came to my house for intuit online training. Than was a plus., she's pleasant we enjoyed her company. She teaches very well. We were left satisfied. IF YOU NEED TRANING FOR QUICKBOOKS DORIT IS THE ACCOUNTANT YOU NEED TO REACH. Don't waist time on training classes that are faraway when you have Dorit. Thank you Dorit you are owesome! Very honest trustworthy reliable. She is personally involved and cares. A dream to work with. Knows her stuff and willing to learn what she doesn't know. Dorit is very professional, extremely reliable and great communicator. Her knowledge , accessibility and efficiency are just some of her qualities. We are blessed to have her services and we do highly recommend her. Dorit has been extremely helpful with the start of our company. Very insiteful and knowledgeable about our needs and plans for the future. I will be using this service gladly. Dorit strongly cares about my business success. She is knowledgeable, reliable, multi accounting tasking, and brings valuable ideas for accounting efficiency. I am planning to keep her for long term, and I would recommend her accounting services to anyone else. Dorit is our bookkeeper for a small law office. She is on top of all the deadlines we need to meet and all of the requirements. When we need to reach her she is always accessible to answer any questions or accommodate last minute requests. She is very well organized and keeps us organized. We highly recommend her. After weeks trying to figure out Quickbooks I decided it was time to back away from the mess I've made and let an expert work her magic. Dorit is responsive, knowledgeable, and a pleasure to talk with on the phone and in person. In no time she waved her magic wand and set up my accounts in QuickBooks with ease. 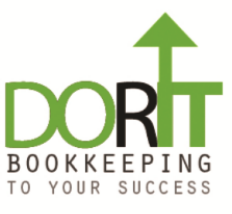 As a sole proprietor trying to make the most of my business tax deductions, I'm so grateful I can outsource to Dorit so I can concentrate on doing what I love, which has absolutely nothing to do with QuickBooks. If you need help managing finances, give her a call! You'll be happy you did. I love motivated business people, and I love saving time to the small business onwers. I love numbers and problem solving realted to small businesses. I beleive that your time is better spent working toward big business goals and securing clients, customers or new business, not daily bookkeeping or admin tasks. You care about running your business and boosting your bottom line, which is why you started it in the first place, right? My typical process for working with a new customer is to set up a phone meeting or in person meeting. Getting know my client and his expectations from my services. Explaining my special process on how I focus on making the accounting process easy on my client, and why it is a huge time saver for him.